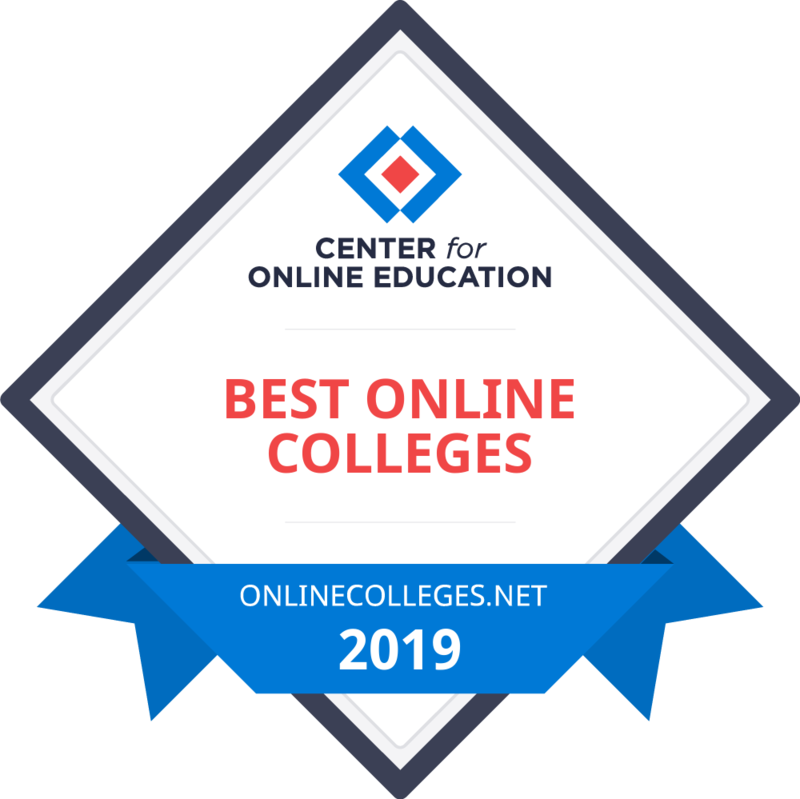 As a part of our mission to inform prospective students about online colleges, we have developed a custom ranking algorithm that uses school-reported data to determine the best online programs. We know there is not just one path to a career; that's why we have over 50 rankings covering programs at the associate, bachelor's, and master's levels. We have dedicated hundreds of hours of research with top online education experts to ensure our rankings are thorough, accurate, and trusted. We base our rankings methodology on the factors that matter most to online students. Using official, standardized data, we weight metrics such as the number of online programs, the percentage of online students, and graduation rates to create a unique list of online colleges that provide excellent support, instruction, and results for their online students. Read more about our methodology. Academic quality makes up 45% of a school's overall score. A lower admissions rate indicates a more competitive school, and likely more rigorous academics. A high enrollment rate shows that students are accepted to a school choose to go there, meaning it was likely a top choice. Higher graduation rates increased a school's ranking, as it provides the academic support students need to succeed. A high number of students majoring in the ranked subject likely indicates that school puts more resources behind that particular program. Online offerings make up 35% of a school's overall score. A strong online presence shows expertise in distance education. The number of online programs measures experience and breadth of a school's offerings, while graduate enrollment in online programs shows that students believe in the quality of online education at that school. Likewise, a higher percentage of programs offered at the master's level indicates an established post-graduate program. Cost and student aid support make up 20% of a school's overall score. Attending college can place a major financial burden on students and their families, and it's important to prospective students that they get a good return on their investment. Those colleges that had a lower average net price ranked higher, while a high student loan default rate lowered a school's overall score. If you're unsure what field you want to enter, or hesitant about committing to a four year program, an associate degree can offer an opportunity to get started on a flexible path with minimal debt burden. Bachelor's degrees provide a strong entry level credential to get started in some of the most competitive fields. They are also mandatory if you want to pursue a graduate level education. If you're sure higher education is for you, and you know your field of interest, a bachelor's degree is the best place to start. Many specialized careers require a minimum of a master's degree to be qualified. These 1- or 2-year degrees are typically completed after graduating from a bachelor's program. Students gain highly specialized knowledge that qualifies them for mid to senior level positions. Online master’s degrees are also a good stepping stone to a doctoral program.